Walking through the halls of the Cleveland Convention Center at this year’s Content Marketing World, you hear all the buzz. Who is excited about what? What sessions were amazing? Which speakers weren’t prepared? And the one on most veteran attendee’s minds, will UBM be able to do what Joe and Pam Pulizzi did? 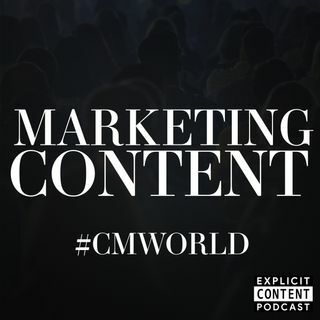 On this episode of the Explicit Content Podcast, veteran podcaster Pamela Muldoon makes her return to the host role, along with Jeff Julian, to discuss this year’s takeaways from ... See More Content Marketing World 2018.